Camp Fire was the most costly disaster world-wide in 2018, according to Munich Re, a German-based reinsurance company. Far more important than statistics or studies, though, are the people who must continue to grapple with loss. Stories have poured out about California residents struggling with health issues due to the smoke and air pollution, mourning a family member lost in the chaos, or returning to find a crumbling foundation and charred walls where their home once stood. Many of the wonderful people who are supporters of World Challenge were caught in these fires or have family members and friends affected by these natural disasters. We are heartbroken by the staggering losses so many are facing. 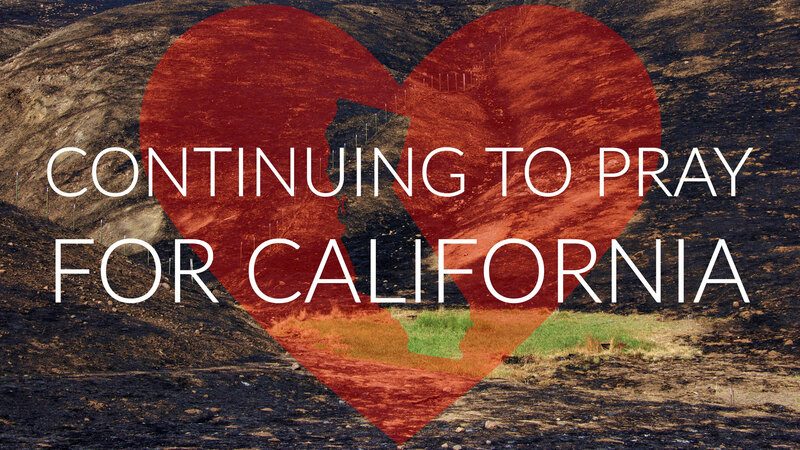 Would you please join us in praying for everyone and their loved ones who must continue to contend with the aftermath of these California fires? For those who have been affected by the fires, we would be honored to pray for your needs and heart-hurts. Please let us know how we can pray for you or if we can help you in another way. If you are comfortable doing so, you can leave a message for us on our Facebook or Twitter pages. If you would like to send a more private message to us, you can use our contact page and note under ‘Category’ that this is a prayer request. “God blesses those who mourn, for they will be comforted” (Matthew 5:4 NLT).